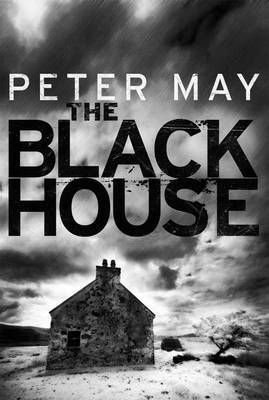 I thoroughly enjoyed The Blackhouse, so much so that I have immediately ordered the sequel, The Lewis Man. However, I am not sure why I liked it so much, as the book is exceedingly slow, very little happens in the detective story sense, and the denouement is a bit of a cheat. Yet, it’s a very good book indeed, I think, mainly for its atmosphere and dramatic sense. There is a strong Nordic element to the novel; from the famous Lewis chessmen which are thought to have been created by Norwegian Vikings, to the ways of life of the islanders which have much in common with their Scandinavian neighbours (not to mention the local weaving craft, responsible for Sarah Lund’s jumpers). An Edinburgh police detective, Finn Macleod, is on leave because of a devastating family tragedy. 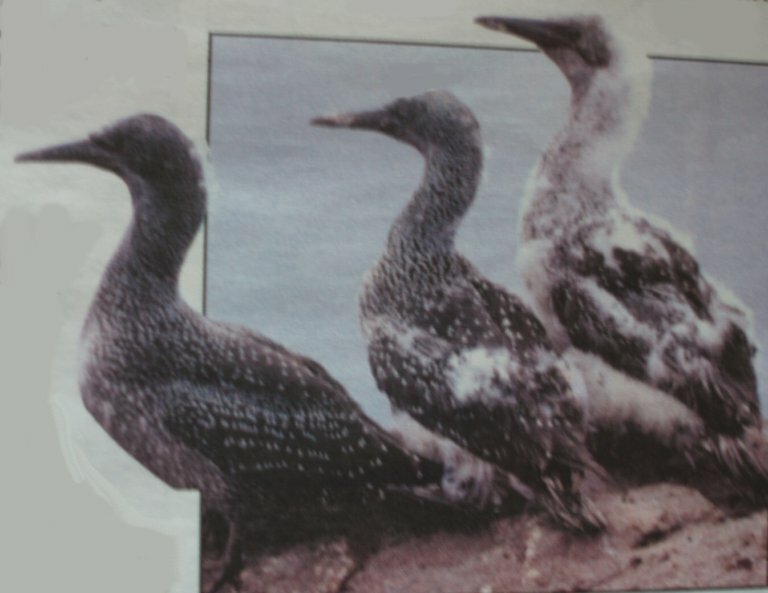 He’s recalled to work and sent to the Isle of Lewis in the Outer Hebrides, where he is from. A man has been murdered there, in a similar fashion to a crime committed a few months ago in Edinburgh. 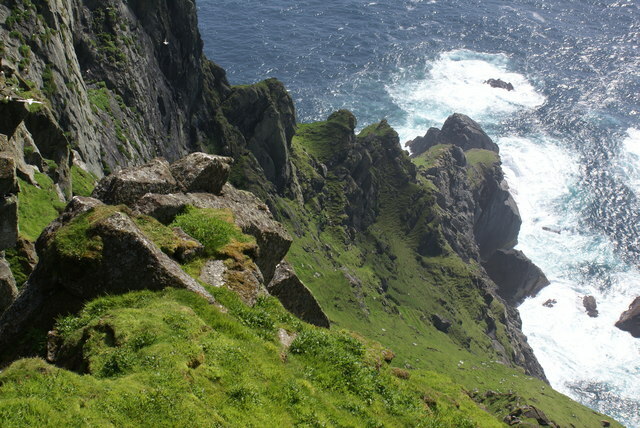 Because Finn was born and grew up on the island, and because he speaks Gaelic, the police computer (HOLMES) has suggested that he is assigned to help the investigation. Finn is only too happy to go, to escape his current misery, but is nonetheless apprehensive about returning to a place where there are many negative undercurrents for him. In the present-day, Finn is made unwelcome upon his arrival on Lewis by DCI Tom Smith, the irascible detective from Glasgow in charge of investigating the crime. A man has been found hanging from a rafter in a shed: when he hears the victim’s name Finn realises he knew him: he was the school bully. Smith sends Finn and George off to the post-mortem so that Finn can compare the death to the Edinburgh case. Finn quickly concludes that the MO is different, but does not want to tell Smith as he wants an excuse to stay on the island and talk to the people who knew the dead man. He carries out this task, filtered through his memories and emotions at being back on the island – so it takes him almost all the book to talk to about half a dozen people in total. The alternating narrative, the story of Finn’s past, takes up the bulk of the book: he lived in a croft with his parents until he was eight. During this time, he went to the local school and we are introduced to characters who as adults become relevant to the story: the murder victim and his even more horrible brother; Finn’s best friend; a girl who lives on a farm and attaches herself to Finn; the son of the preacher (the community is very religious); and one or two others. Most of the past history is told in a very leisurely manner, as the ways of life on the island are depicted. Occasionally, there is a burst of tragic action which moves the story on to the next section. By the end of the novel, we have come to know Finn well as a child and then a young man studying at Glasgow University. One of the last people he speaks to during the crime investigation provides the last part of the novel with emotional depth and pace, as Finn begins to grasp who committed the crime and why. Everyone is waiting for the results of the DNA test that Smith, the policeman in charge, has asked all the men on the island to undertake. When the results are in, they can be matched to a sample at the crime scene and the identity of the killer will be known. Finn, however, gets a heads-up because of a clue he and the pathologist found at the post-mortem. Because of this, Finn knows that he has to take some very dangerous action, and heads off into a literal cliffhanger climax. Although the identity of the killer, and the motivation, is relatively obvious to some extent as the reader can work it out, the full explanation depends on information being deliberately withheld, which may annoy some readers. Nonetheless, the story is a powerful one, and the preceding history of island life, particularly the choices open to the islanders as they grow from children to adults, provides it with an emotional resonance that is present in the best crime fiction: indeed, fiction without the adjective. I shall certainly be reading more by this author. Read other reviews of The Blackhouse at: Euro Crime (Amanda C M Gillies), Bookgeeks (Mike Stafford), Shots (Calum MacLeod), Mysteries in Paradise, and many other publications and blogs. About the book at the author’s website. Includes links to many reviews, as well as videos by the author of his research on the island, and his post about his inspiration for one of the characters in the book. The Blackhouse won the CEZAM Prix Litteraire Inter CE last year and the Prix des Lecteurs the year before. This sounds like a great book and is hovering on the edge of my consiousness as I’ve seen it in quite a few bookshops. ‘The Lewis Man’ too seems to be getting a lot of publicity. It’s always a good sign when you order a sequel straight away so the book must have touched a chord with you. Thanks, Kerrie and Sarah. This was one I really got sucked into, despite myself! (I’d resisted a couple of previous opportunities to read it as I thought it was going to be like The Wicker Man for some reason). The Lewis Man happened to be going for £5 on Amazon in a limited promotional deal when I looked, or I might not have been quite so quick off the mark! I bought this one! Can’t wait to read it. I’m in a long queue for this one at the library and what you write makes me glad I got in line when I did. I can live with slow, just as long as there’s character and atmosphere. Great review. It’s going on my TBR list right now, and I look forward to reading it. I suspect this one is a ´must read´, but not as long as I have to pay $ 10 for the ebook. it’s funny that I haven’t read a crime fiction set in Scotland. This looks like one that I could start with, besides Ian Rankin I suppose. Thanks for a great review! I can also recommend Karen Campbell as a good Scottish author, who has a female protagonist – each book in her series of 4 has focused on a different aspect of the criminal justice system and I’ve enjoyed them a lot. Aline Templeton is also good, with another female protag, but more on the comfortable side than Campbell and May. I like Ian Rankin, also. I sat down and read this all day yesterday Maxine. What a great recommendation. The review will take a while as I have 3 books to do before then but thanks for the recommendation. Glad you liked it, Sarah – it is very absorbing, glad we agree! I am reading it and found it so interesting that I was googling the island location. Though I am rading it in Spanish and found the translation very “Spaniard”. I will look for the English version.